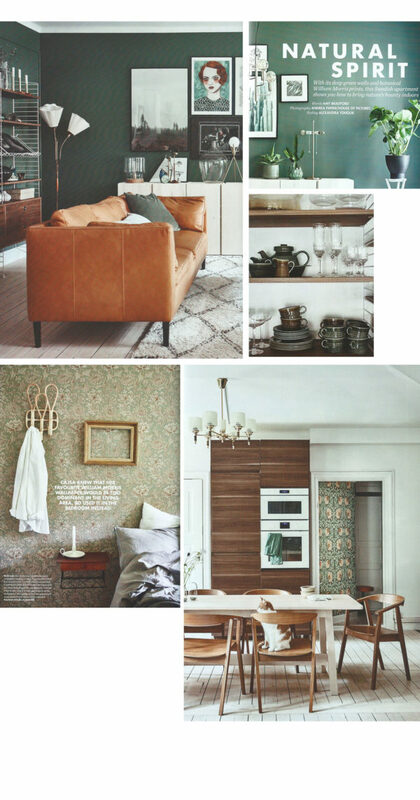 We’re always flicking through homes and interiors magazines to soak up all of the latest interior inspiration. Scandinavian interiors are becoming more and more popular among them – and when we came across this 1920’s Swedish apartment in Elle Decoration, we just had to share it! Combining natural light, neutral tones and botanical prints, this apartment embraces the coming of spring in a truly Scandi way! The simple off whites and woods combined creates a fresh and inviting space. By keeping the interior light and uncluttered, the darker woods and furnishings enhance the natural feel. We couldn’t help but notice the owner’s love of William Morris prints! She uses ‘Chrysanthemum’ in the bedroom and creates a ‘restful botanical feel’. We are also Morris lovers; our favourite floral prints include ‘Pomegranate’ and ‘Pure Willow Bough’. Find more inspiration and beautifully printed products at Morris & Co’s website.